Griffin Dyeworks & Fiber Arts > Blog > News > Event News > Melinda Sherbring is the 2018 Retreat’s Featured Teacher! 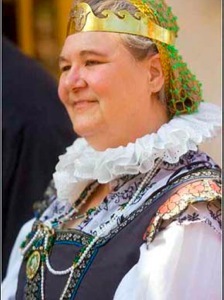 I am beyond excited to announce this year’s featured teacher at the retreat this summer – Melinda Sherbring! Melinda has earned recognition in multiple forms of art – from illustration and creating scrolls in a medieval style to stained glass and blackwork embroidery. 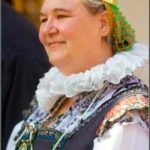 Melinda is associated with the American Needlework Guild, the Embroidery Guild of America, the Society for Creative Anachronism, and the Los Angeles Society for Calligraphy. 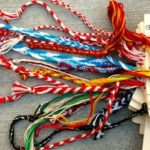 Fingerloop braiding has been done for at least a thousand years. Several manuscripts describing patterns exist from the 15th – 17th centuries. 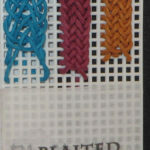 The student will use perle cotton in their choice of colors to work several single-person fingerloop braid patterns. If there is time and interest, we will set up a 3-person braid as well. This class is an overview of the wide variety of blackwork styles used in 16th and 17th c. England. There will be examples of blackwork done with fillings, flecked, speckled, and more. Examples to look at up close and show actual historical examples on computer screen (if indoors). 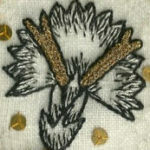 We will work either a borage or a cornflower design in the flecked blackwork technique, using either black and white tatting cord. Kit with 8″ x 8″ linen ground, threads, needle, and pattern available for $5. Student needs to provide either 8″ x 8″ stretcher bars and tacks, or a 6″ hoop. 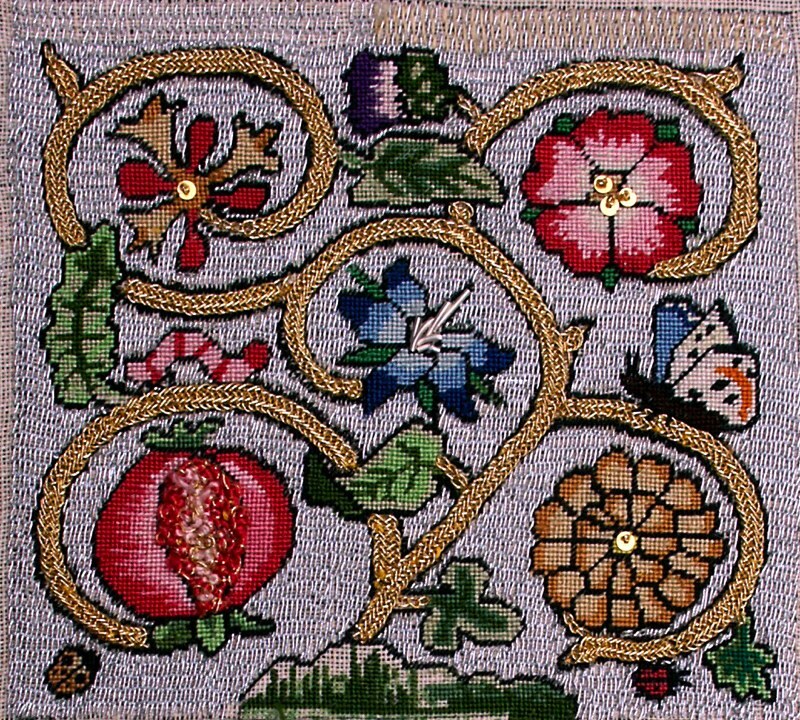 Plaited Braid is the complex stitch most associated with Elizabethan England. This class focuses on teaching your hands the motions for making the ins and outs of this stitch. If there is time, we’ll try some of the variations on this stitch, working around curves, and alternative methods of starting. For the second half of the class, we use gold-colored passing thread on linen. 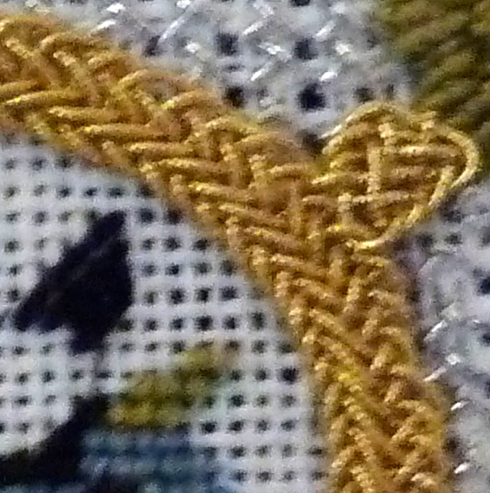 Handling the materials is as much a part of this as the stitch itself, done at realistic size. We’ll discuss, and more variations. 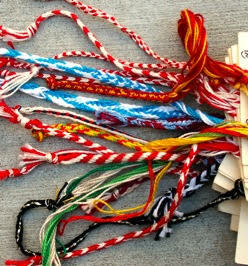 $7 Kit available with plastic canvas, cotton braiding cord, needle, then linen, Benton & Johnson wire passing thread, needle. Student needs to bring a 6″ hoop or stretcher bars. To take these and other great classes, register for the retreat today! Early bird prices end May 1.